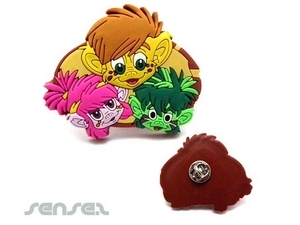 Nothing suitable in promotional pvc rubber magnets? PVC or Rubber magnets can be injection moulded to your requirements. Placed on an office fridge, custom moulded magnets create continuous advertising impressioins. There is hardly a better place for your logo or message than on the family fridge. 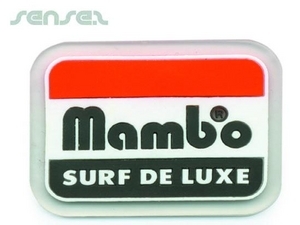 We have a great new range of promotional magnets that will both display your logo and please your customers. 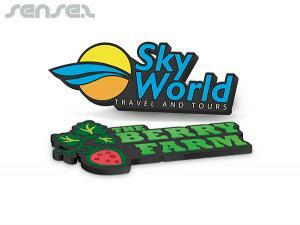 Our range of custom printed magnetic display accessories, magnetic branding tools are ideal for display promotions. Fridge magnets are very easily customized and offer great opportunities to present your brand or unique cooperate message. Your own company designed magnetic display ideas are great for office desks, home refrigerators and even for shop displays. Magnetic bookmark pens, new magnetic memo clips, magnetic clocks and magnetic calendars are great display items for the office. They are both functional and practical for the working environment. Our standard flat cheap promotional magnets and photo frame custom printed magnets are great as mailout and gift promotional giveaways for the home. Puzzle magnets, magnetic games and magnetic messages are perfect for kids promotions and add a little fun and gimmick to the standard magnet. Magnetic to do lists are great for shopping events and trade shows and promotional giveaways. Cheap marketing magnetic clocks and room thermometers are ideal for mailouts and great for shop displays. Sticky wall holders have a sticky silicone surface on both sides, so it attaches to any surface (similar to a magnet) just that it can attach on to walls, mirrors, cabinets etc, and then it has a sticky front part also, where it can hold incredibly heavy items like mobile phones, custom logo pens, and other small items. It has incredible grip and is ideal for any new office related promotions where an office desk space is extended to a wall or side of a cabinet, finding new room for pens, staplers, phones and all the other things that clog up a table. These stickers can be used like regular stickers or custom designed magnets as well as attach to cars, windows (as windshield protector). 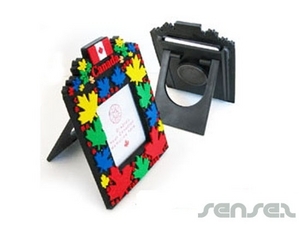 Ideal for office promotions or for consumer promotions, where it can be used to hold keys or phones on any wall in the house or for new retail related promotions or school items related promotions.